Legal history has been made in Victoria after a family was given permission to appeal their pet pet dog’s death sentence to the High Court of Australia. The Staffordshire terrier, named Izzy, escaped from the family home and bit a woman on the finger in 2012. The incident led to charges being laid against Izzy’s owner, and Melbourne’s Knox City Council sought an order for the dog to be ‘destroyed’. Izzy was seized in June 2013 and has been kept in a cage at an animal shelter ever since. 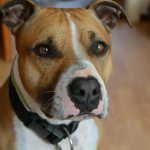 Her owner appealed the ‘destruction order’ to the Victorian Supreme Court and then up to the Supreme Court’s ‘Court of Appeal’, but both denied the appeals. But in a last-minute reprieve, the High Court has agreed to hear a final appeal. This is believed to be the first time that the High Court will hear the case of a dog on death row. The main ground of appeal is that the council officer who brought the original charges against Izzy’s owner also sat on the panel that made the decision for the dog to be destroyed. The council’s lawyer contended that the officer handled the matter in a professional manner and without prior judgement. The case for Izzy is also supported by the fact that the nature injury sustained by the woman who was bitten was not severe – a laceration approximately 1.5cm in length on the finger. An appeal to the Supreme Court challenging the decision to destroy Izzy was unsuccessful, and in September last year, the Victorian Court of Appeal upheld that judgement. The decision to allow a special leave application to the High Court is a first, but it is expected that others will follow once a precedent has been set. In Adelaide, another case is underway involving a five-year-old American Staffordshire terrier who is due to be destroyed after it was alleged that he killed three cats after escaping from his home. The dog’s owners deny the claim that their dog killed any cats and blame his escape on medication he was on after an accident. The matter is due in court today. The NSW Government has been tightening dangerous dog laws over the last couple of years. New legislation approved in 2013 allows dogs that have never attacked a person to be categorised as ‘menacing’ in NSW. 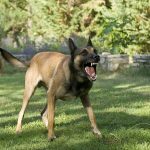 The amendments to the Companion Animals Act are a pre-emptive measure, and were brought into effect after a spate of dog attacks in NSW. One attack resulted in the tragic death of a two-year-old from a dog that had not previously been considered dangerous. it must remain within a council approved dog enclosure (ie dog case) unless it is muzzled. If a dog is declared to be menacing, the owner must comply with all of the above requirements except the last one, which is the most stringent. Rather than having to build a dog enclosure and keep the dog in it, there is a general requirement that the owner needs to keep the dog in a place that the dog cannot escape from. If council sends you a notice of a proposed dangerous dog declaration, you have 7 days to write a letter objecting to the declaration. That letter can contain supporting documents such as a temperament assessment by a trained dog assessor, photos of your home and yard showing that it is secure, letters from your vet and those who have been around your dog, and so on. If council still goes ahead and declares your dog to be dangerous, you have 28 days to file an appeal to the Local Court against the declaration. A court date will then be set and you may be able to negotiate an agreement with council; for example, you may be able to agree to keep your dog on a leash at all times when in public etc, in exchange for council agreeing to revoke the dangerous dog declaration. If an agreement is reached, it will essentially be ‘rubber stamped’ by the Local Court who will issue what are known as ‘control orders. Otherwise, the matter will need to be fought in court. The Local Court has the authority to revoke a dangerous dog declaration and if it decides to revoke it, the court can make other orders that it deems appropriate, including training, desexing and any other requirements. The court also has the authority to revoke any destruction order sought by the local council. If you wish to accept the dangerous dog declaration, you can still lodge an appeal to the council after 12 months. 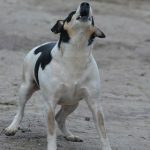 The situation with menacing dog order is significantly different because you do not have the right to appeal to the Local Court, which is a state of affairs that many find to be unfair and unacceptable. The lack of an external appeal mechanism is also why councils often prefer menacing dog orders over dangerous dog orders. Challenging a council’s dangerous dog declaration can be extremely stressful. Emotions can run high, especially if you believe that your beloved companion has not done anything wrong and that the council is being unfair. It is especially nerve-wracking if your dog has been seized and thrown into a pound; particularly if the council has applied for a destruction order. If you have received a ‘notice of intention to declare your dog dangerous’, it can be helpful to seek the services of a lawyer with expertise and experience in dangerous dog cases. Although Sydney Criminal Lawyers® is primarily a criminal defence firm, we are also passionate defenders of animal rights. 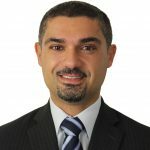 In fact, our principal Mr Nedim has been representing dog owners since shortly after the Companion Animals Act came into effect. He pioneered the use of ‘undertakings’ as a way to prevent councils from going ahead with dangerous dog declarations, and has successfully defended clients against hundreds of applications over the past 15 years. ‘what does the Companion Animals Act say about dogs in public places’.